Space! The Final Frontier...of your coffee prep counter. Get more space with the BUNN 5 Gallon Element Hot Water Dispenser. 7.4 inches wide but with the capacity to keep 5 gallons of hot water at the ready. This is no science fiction story, this is happening now. 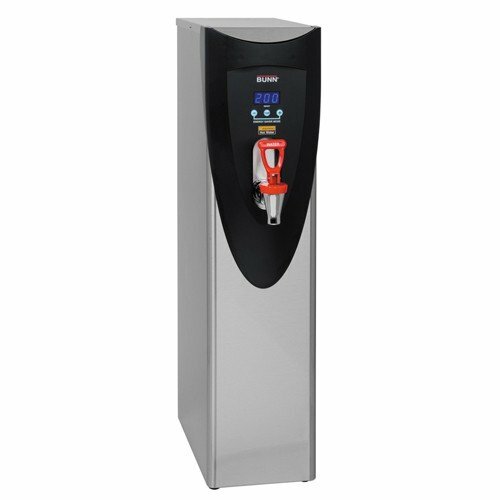 With contemporary good looks and energy saving features for lower operating costs, the BUNN hot water dispenser is out of this world! Large LED Display: LED display provides simple temperature adjustment.